When my mom was first diagnosed diabetic, the first question she asked the doctor was, “Can I eat Mangoes?” And the doc answered, of-course you can eat mangoes, one or two pieces per day, or at the maximum 1 per day, and seeing the confused expression on my mom’s face he asked how many she ate per day, and she coolly replied around 6 to 8. I can still remember the face of the doctor, with his jaw dropped. Yeah we used to eat around 6 to 8 and sometimes 10 mangoes per day, skipping lunch and dinner. That is the love we have for this particular fruit. After coming to Germany I always missed them. The mangoes we get here do not have the taste of the mangoes in India. Coming to the recipe, I made this when my friends visited us for dinner, and it was a huge hit. Luckily I made extra portions, because most of them ended up having two portions. 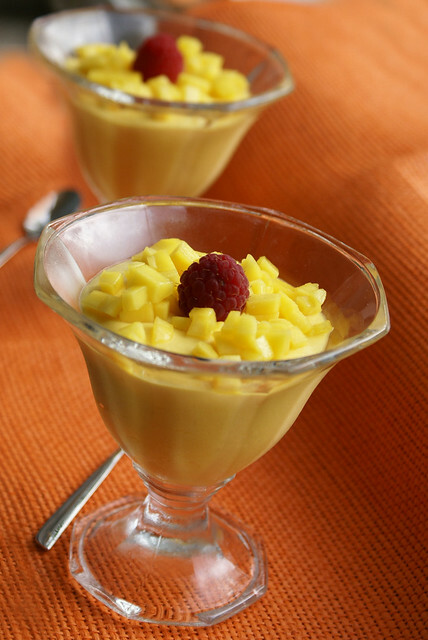 If using fresh mangoes, puree the mango cubes in a blender along with sugar and lime juice, or if using canned pulp, mix together mango pulp, sugar and lime juice well. Keep aside. Soak gelatin leaves in cold water. 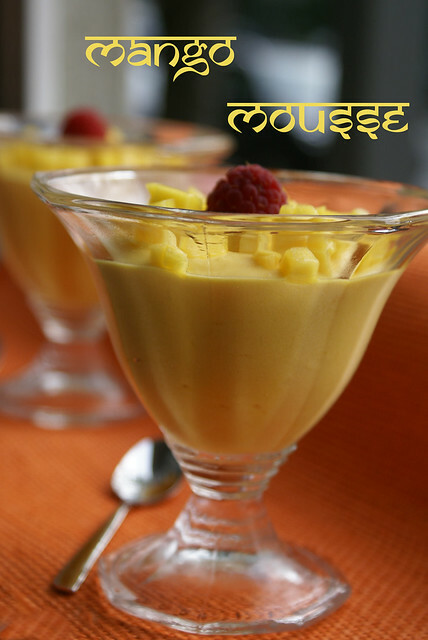 Heat 2 to 3 tablespoons of water, squeeze gelatin leaves and dissolve them in hot water and add it to the mango mixture. Add cream to the mango mixture and mix gently. Then add egg whites to this and fold till well combined. Pour this into a dish and and refrigerate for at least 4 to 5 hours. Alternatively you can even spoon the mix into individual cups or glasses and refrigerate. Serve chilled and enjoy !! Utterly Heavenly. It a treat especially for a Mango lover like me. I hear ya, girl. Nothing can beat the taste of mangoes in India. I miss them too! 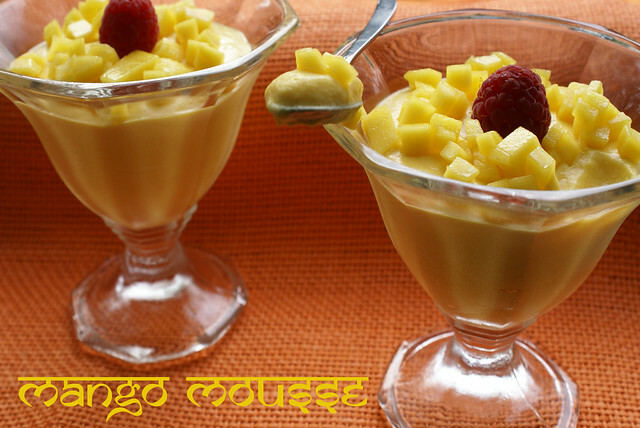 we indians have this special love for mangoes and I am glad that you made this mousse. This looks so creamy and delicious. Yup, we'd be among the ones eating 2 helpings of those. Looks so delicious.